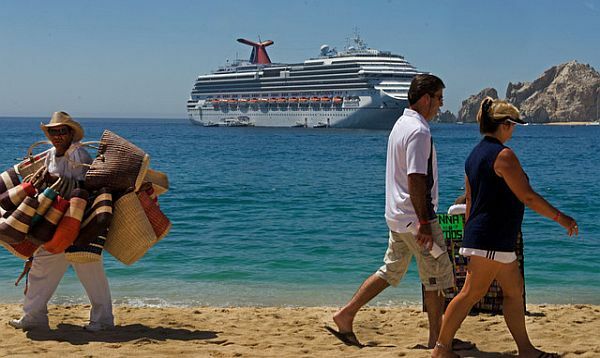 The federal government will be investing 600 million pesos to improve tourism workers' living conditions in Playa del Carmen, with similar spending expected in Acapulco, Los Cabos and Puerto Vallarta. The Mexican government announced a new six-year tourism strategy on Sunday that would focus on five key goals, including building the Mayan Train and enticing tourists to spend more money. According to Mexico News Daily, Mexican President Andres Manuel Lopez Obrador said during an event in Quintana Roo that tourism was the nation's third largest foreign exchange earner, contributing $22 billion to the economy. Lopez Obrador also revealed during his speech the Mayan Train project will begin soon and the federal government would be investing 600 million pesos to improve living conditions for tourism workers in Playa del Carmen, with similar spending expected in Acapulco, Los Cabos and Puerto Vallarta over the coming months. Another primary focus of his administration will be the safety of top tourism destinations, with Lopez Obrador ordering the secretariats of Security (SSPC), National Defense (Sedena), the Navy (Semar) and Tourism (Sectur) to work together on a comprehensive plan to combat insecurity. "That's why it's very important for us to maintain economic growth and continue creating jobs in the sector," Lopez Obrador told Mexico News Daily. "We're going to implement a plan to grow the whole country but we want to support tourism and at the same time support regions that are lagging behind in terms of growth, employment and well-being." All of the changes planned are meant to help Mexico build on its position as the world's sixth most visited country, which welcomed a record 41.4 million international tourists in 2018, a 5.5 percent increase from the previous year. Lopez Obrador is also looking to increase tourism spending by focusing advertisement campaigns toward wealthy countries such as the United Arab Emirates, Japan, France, Italy, the United Kingdom and Korea. In addition, the administration plans to develop less-visited destinations, stimulate domestic tourism and ensure that federal, state and municipal governments work together to improve the industry. The Mexican Senate is also getting involved in the tourism industry following Lopez Obrador's plans for the industry. According to PasilloTuristico.com, officials want Tianguis to continue with Acapulco hosting every other year, a funding increase for Pueblo's Magicos Program, promotion of medical and wellness tourism and more.